Antibiotics can be miracle drugs but they also have risks. Poor prescribing and use practices are putting patients at unnecessary risk for preventable allergic reactions, super-resistant infections, and C.difficile infections (deadly diarrhea). Antibiotics can fight infections and save lives when used at the right place, at the right time, and for the right duration. However, the overuse and misuse of antibiotics in our country is contributing to antibiotic resistance—when bacteria stop responding to the drugs designed to kill them. 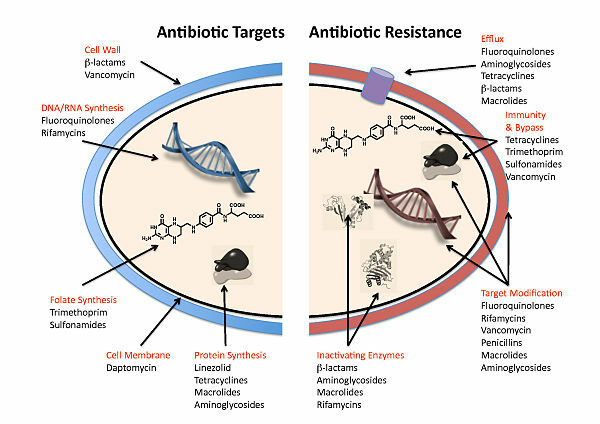 More and more bacteria are becoming resistant to the antibiotics that remain in our arsenal. Every year, more than two million people in the U.S. get infections that are resistant to antibiotics and at least 23,000 people die as a result. If drug-resistant germs keep growing and if we lose the effectiveness of antibiotics, we may also lose our ability to treat patients with sepsis, cancer, and organ transplants, and save victims of burns and trauma. Unfortunately, developing new antibiotic drugs could help but not save us from this fate because resistant germs evolve faster than we are able to develop drugs to treat them. We’re going to have to change how we use the antibiotics we already have. One way CDC is combating resistance is by supporting antibiotic stewardship programs across the nation to make sure that antibiotics are prescribed and used appropriately. Viruses or Bacteria? What’s got you sick? Stewardship programs can reduce antibiotic resistance and healthcare costs, and increase good patient outcomes. For example, reducing the use of high-risk antibiotics by 30% in hospitals can lower C.difficile (deadly diarrhea) infections by 26%. We all have a role to play: by committing today to stewardship and other infection control principles, like proper hand hygiene, we protect the effectiveness of antibiotics in the future. On Tuesday, June 2, leaders from human and animal health organizations across the country are joining together at the White House to discuss how they can support antibiotic stewardship. Leaders are joining forces to improve antibiotic prescribing and use because they realize that antibiotic resistance and the use of antibiotics does not just affect the individual, but the future of our whole community. As these leaders share their commitments, you can take part in preventing resistance, too. Very nice Post good health information"